SV Sunil and Sardar Singh to miss the four-nation tournament, Manpreet Singh and team all set for the fight. January 2018, to witness the four nation tournament in New Zealand. Indian Goalkeeper PR Sreejesh has made a comeback to the team after eight months, whereas Sardar Singh and SV Sunil has been ruled out of the squad. The India squad for the four-nation tournament. India is all set to compete with three nations namely Belgium, Japan and the hosts New Zealand. The tournament will begin on January 17 at Tauranga and Hamilton. 25-year-old Manpreet Singh will lead the Indian team and halfback Chinglensana Singh Kangujam will be his deputy. Talking about goalkeeper Sreejesh, he has been missing some important tournaments owing to a bad knee injury but is going to make a comeback with this upcoming event. Young Krishan Bahadur Pathak will be joining him as a goalkeeper for the tour, he was a part of the winning team of 2016 Junior World Cup Team. There are some new additions to the squad, with Dilpreet Singh to be playing as a forward player and Vivek Sagar Prasad as the midfielder. Their talent was recognized by the Indian team when they brought home a bronze medal from the Sultan of Johar Cup. While Vivek had played an instrumental role in the midfield, Dilpreet was India’s goal-getter with nine goals in six matches to his credit. “The team continues to remain a good mix of young and experienced players. They will get to show their abilities against top quality teams. This is an important year for us with major tournaments in the pipeline and one of our focus areas is to perform consistently especially against higher ranked teams,” said Chief Coach Sjoerd Marijne. “We use this tour for our preparation for the Commonwealth Games and look at progressing to the next level after the previous two tournaments,” he added. 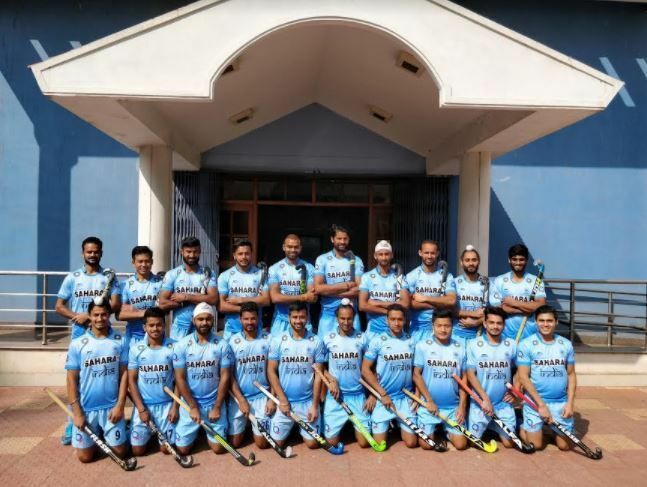 India will face Japan in the opening match on 17th January at Tauranga (NZL). Check out a Come back selfie of Sreejesh with the Team.